A 6 oz. gift box of thick, crunchy potato chips covered in our creamy, Belgian milk chocolate! 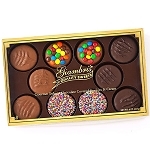 Perfect for the chocolate lover who's tried everything! I ordered these and received them in the mail in a very decent state. None of the potato chips were stuck together and the chocolate hadn't melted. 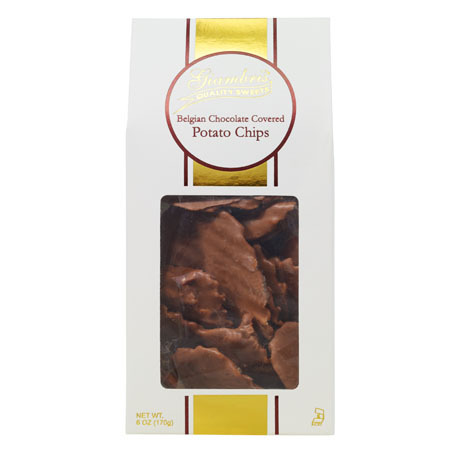 I've tried many chocolate covered potato chips, and these are by far the best yet. The chips have that fresh crunch to them, and the chocolate, that's the best part. It's smooth, creamy, and deliciously sweet. Amazing Belgian chocolate!